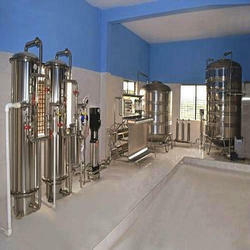 Manufacturer & Supplier of Industrial RO System. Our product range also comprises of Drinking Water System, Fluoride Removal Unit and Iron and Arsenic Removal Unit. Having a pre-determined quality administration system, we are engrossed in providing a wide and extensive consignment of Industrial RO System. Appreciated for their efficiency, ruggedness and reliability, these offered systems are highly demanded. Together with this, these are checked sternly to maintain their flawlessness at our patrons end. We are one of the widely acclaimed manufacturers and suppliers of 150 LPH RO System. The offered reverse osmosis system for offices is commonly used for the purification of hard underground water. Our supplied reverse osmosis system for offices is largely installed in offices. 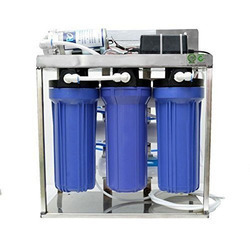 The offered reverse osmosis system for offices removes the dissolved unwanted solids. Looking for Industrial RO System ?